This is the **DIFFERENT LENGTH** Stud Kit. See the below for a note regarding main bolt configurations on these motors. NOTE: The 2.7t and 2.8l 30v V6 came with 2 different main bolt configurations from the factory. Some motors have all 16 bolts the same length while others have 8 long bolts and 8 short bolts. You must disassemble your engine to see which main bolts you have so you get the right Main Stud Kit (MSK). If the main bolts on your motor are different length (8 longer and 8 shorter), this is the part you need. 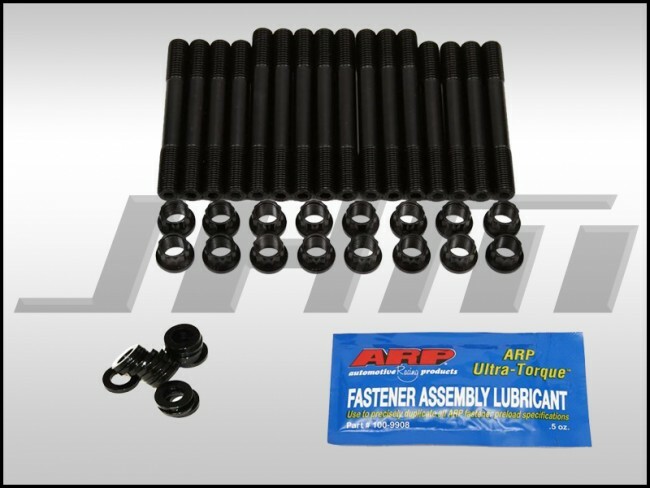 If you have same length bolts, please go back one section and add the "Main Stud Kit (ARP) for 2.7T, Same Length" kit to your cart.